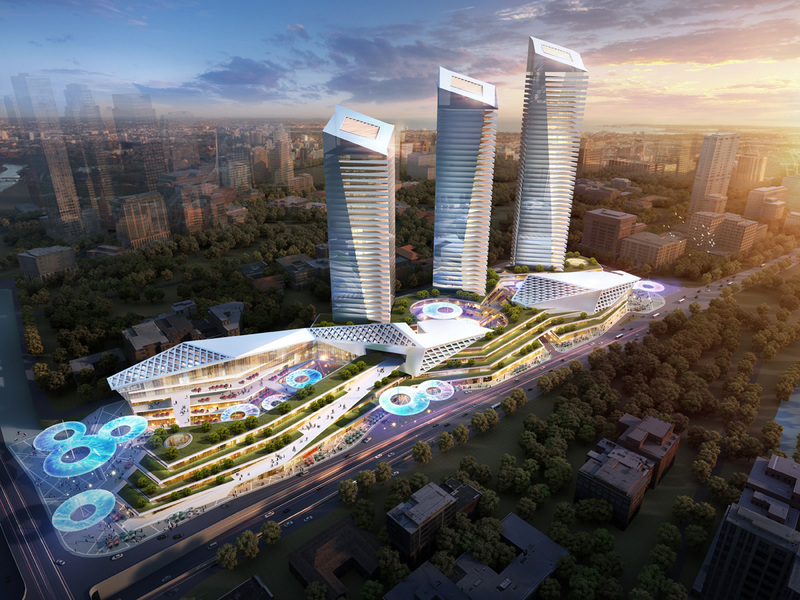 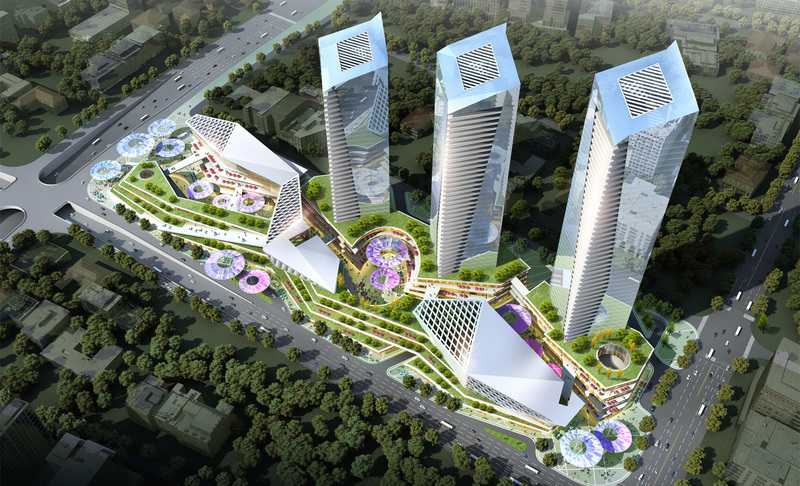 3MIX was given the task of designing a high density mixed use project in Shenzhen, with offices, apartments, and a retail podium. 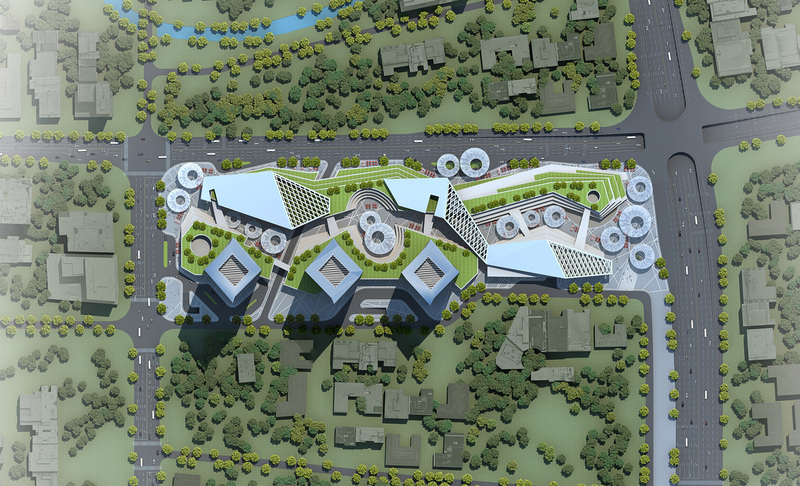 Located beside a park in Longgang district, the challenge was to develop a project exposed to all four directions, accessible from both the streets and the park. 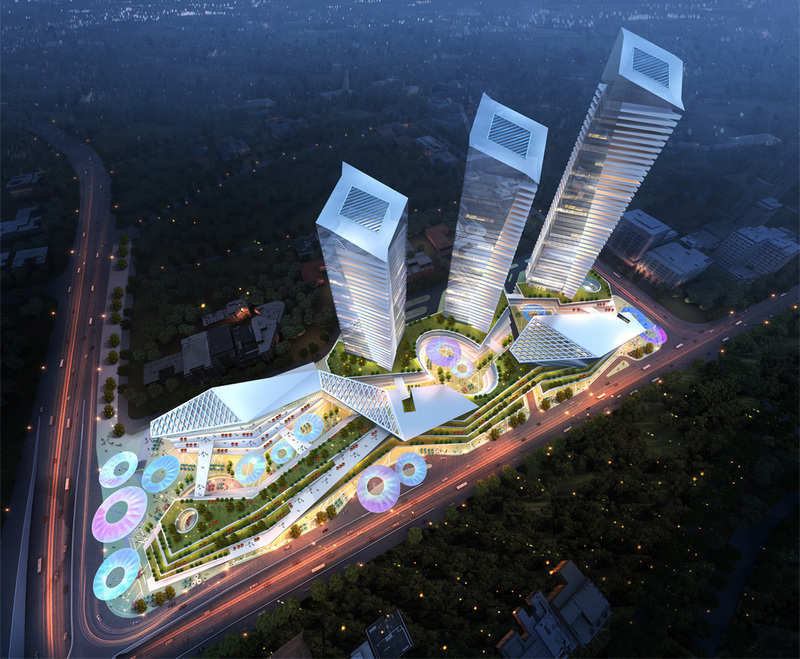 The terraced podium and the towers' verdant façade achieve harmony with the nearby outdoor space, while the sculptured roof canopy provides a visual focus for all sides, completing a project defined by its contemporary language and green concept.